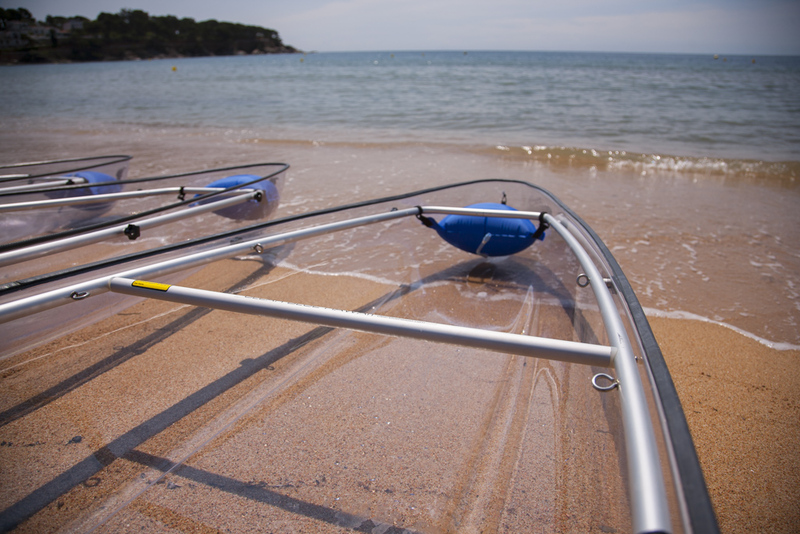 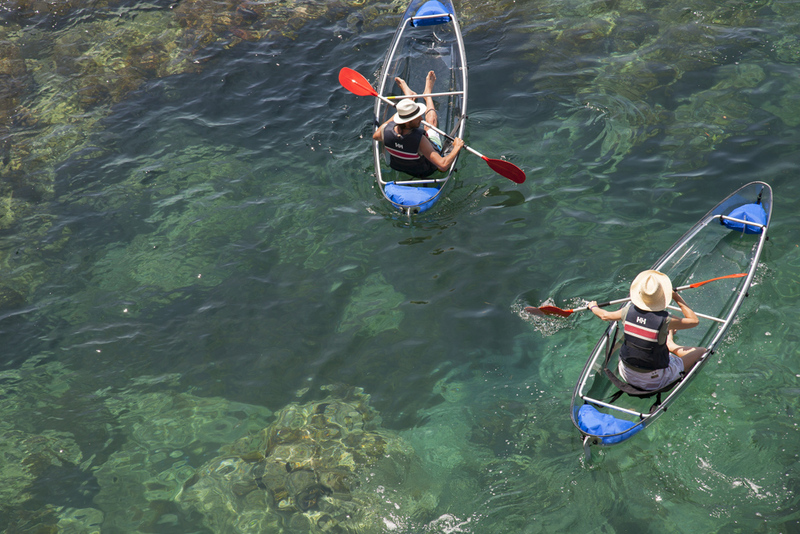 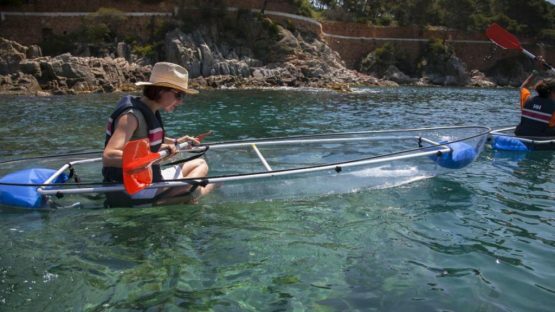 Come to kayaking with our exclusive transparent kayaks in the Costa Brava! 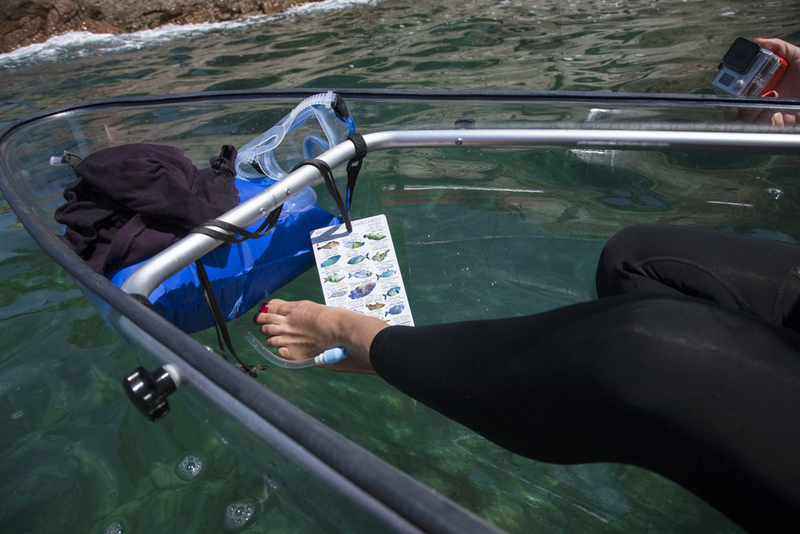 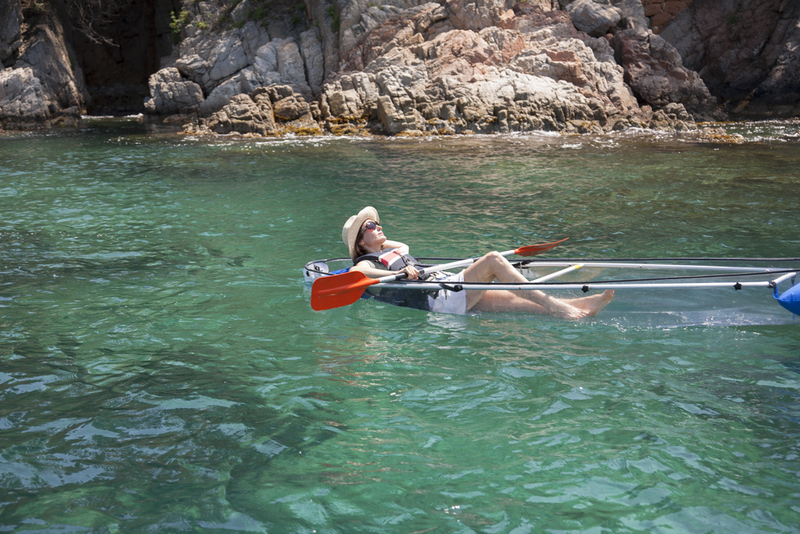 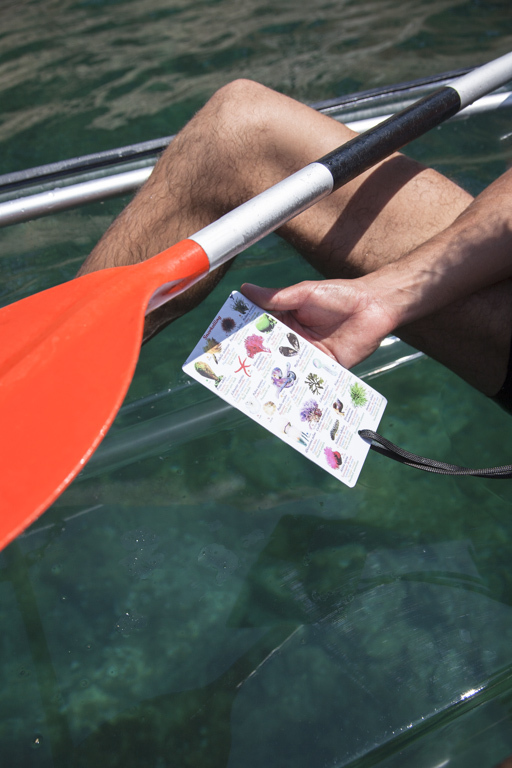 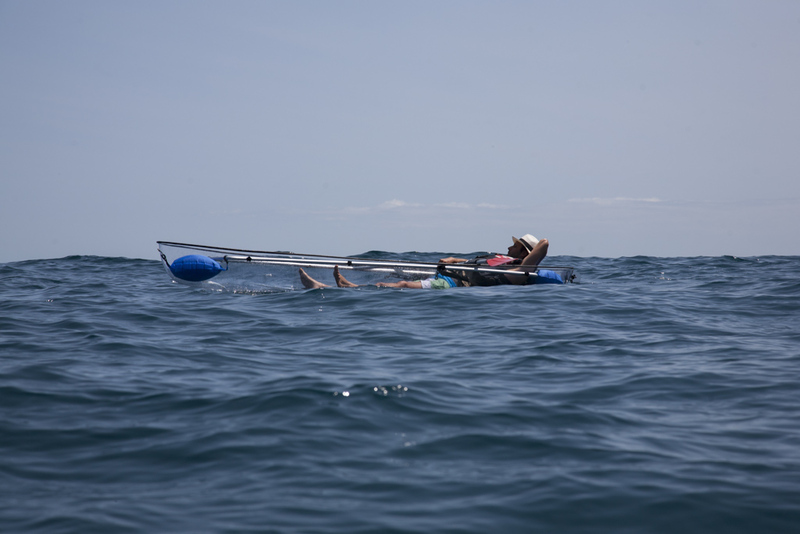 Look and enjoy the sea life without having to put your head under water thanks to our 100% transparent kayaks! 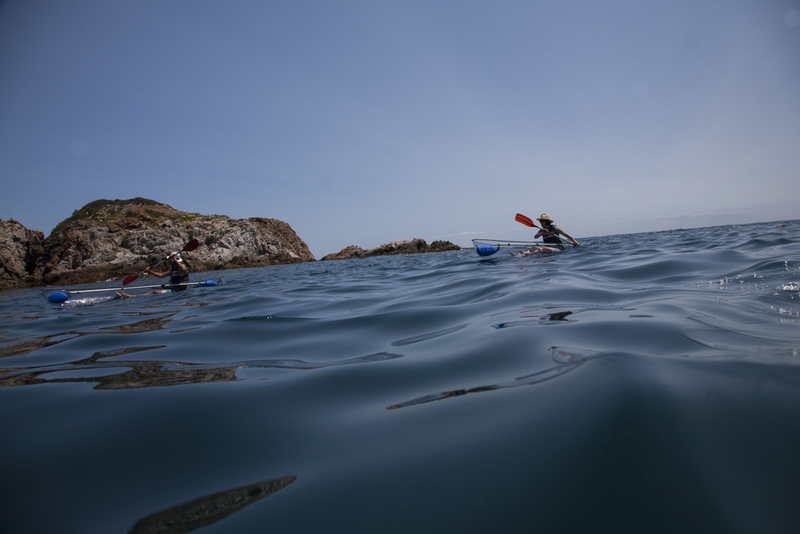 We organize excursions for groups of 1 hour 30 minutes duration around S’Agaró bay. 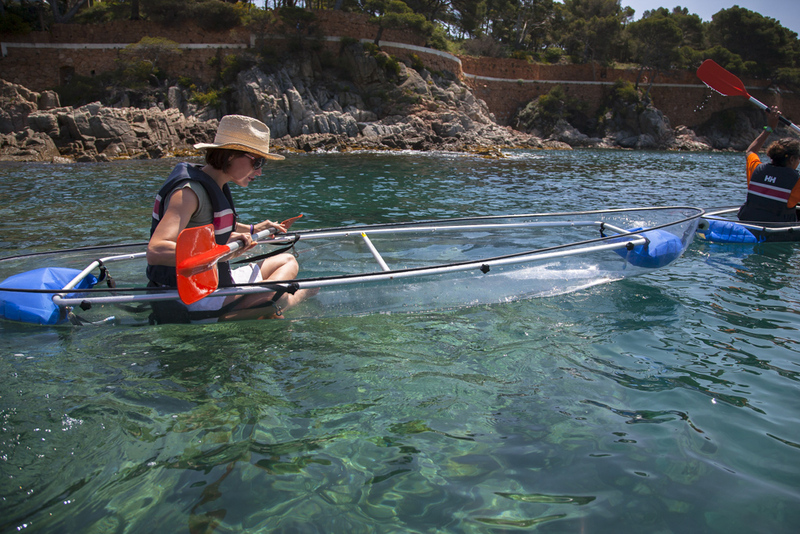 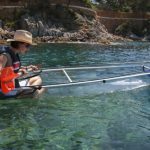 The guide will show you the unspoiled corners along the coast, so you can enjoy the beautiful, clear waters and underwater life of the Costa Brava. 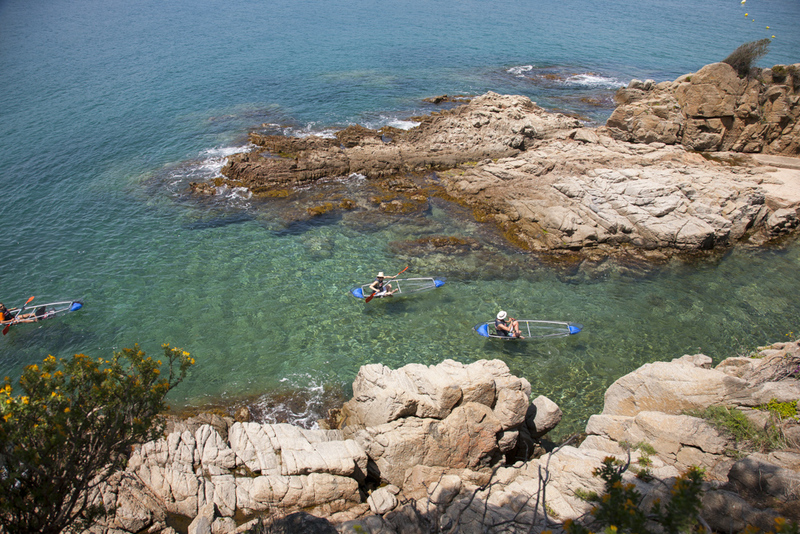 It’s a trip suitable for all ages (from 7 years old) and physical conditions. 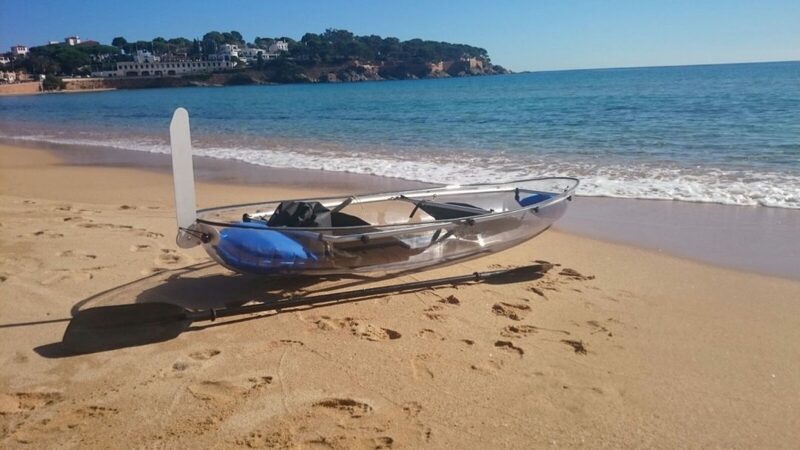 Price include full kayaks (double) and paddles, life jacket, guide, wetsuits for coldest days and wardrobe service.